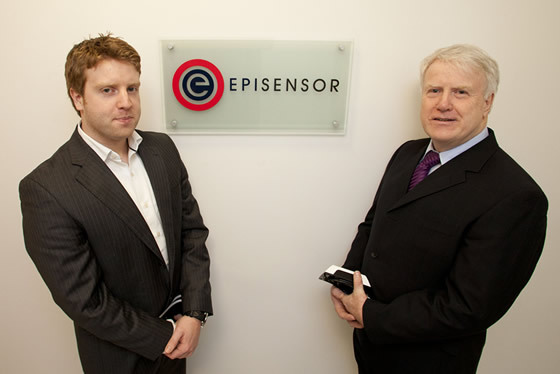 Dublin, Ireland, November 13th 2011 – funding of €850,000 has been provided to EpiSensor, a Limerick based company that develops wireless sensor technology that reduces energy costs. The syndicated funding has been provided by the Bank of Ireland Start-up and Emerging Sectors Equity Fund, managed by Delta Partners, the AIB Seed Capital Fund, co-managed by Enterprise Equity, Enterprise Ireland and private investors. The funds will enable EpiSensor to create new jobs and grow international sales. EpiSensor has seen rapid growth since it was founded in 2007. Its wireless technology platform (SiCA) reduces energy usage and costs by providing data from wireless energy sensors that show where energy savings can be made. It has helped organisations in the pharmaceutical, medical devices, food processing and manufacturing industries to significantly reduce energy costs and the technology has proven to pay for itself within the first year. The system is designed and manufactured in Ireland. EpiSensor will use the funding to grow sales in international markets and expects to create 10 new jobs in the area of sales and development. In particular, EpiSensor will be recruiting highly skilled individuals capable of operating to the highest standard with experience of doing business internationally. Currently its systems have been installed in some of the world’s largest companies including IBM, Johnson & Johnson and Citigroup. The technology is presently monitoring 40 sites in Australia, more than 100 homes in Ireland, with customers also in the United States, Switzerland, New Zealand and Hungary. EpiSensor is run by Gary Carroll and together with a strong management team they plan to take advantage of the new wave of wireless technology and embark on EpiSensors next phase of growth.